Welcome to Day #2 of 21 Day Fix Sneak Peek Group! Let's just go ahead and get down to the nitty gritty.... I know what you are thinking, "Tell me how you did it! Tell me how you lost that 25 pounds!" In hindsight, I can clearly see these five steps as the KEYS to my SUCCESS! Understanding the truth about metabolism and how it effects weight loss and then incorporating those truths into my exercise and nutrition plan. What does my mindset have to do with anything?? Do any of these excuses sound like you? Your WHY is your KEY to your Success!! It is impossible to stay committed and determined to do ANYTHING unless you know your “WHY”. 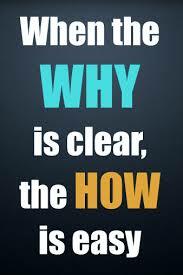 The “why” is the REAL reason, the DRIVING reason that you WANT to change, workout, get healthy, or whatever it is that you truly want to do. You can’t change for someone else and you can’t change for non significant reasons. You can ONLY change if your WHY becomes important and visible and is worth it you to FIGHT FOR with every fiber of your being! How do you find your WHY? I really need for you to block out some time and put A LOT of thought into this. What is your why? Flip through magazines and see what appeals to you and consider making a vision board which can help reveal some deep desires and why’s to you. Do some soul searching and get serious in your thinking here. Is it for your health? To be around and active for your children? To set a good example for your children? There is no wrong “why”, it just needs to have meaning and be personal to YOU! You have to find your OWN why, you can’t take somebody else’s why and make it yours. Doesn’t matter that your family, doctor, friends, etc., think something should be important to you. YOU have to make it important to YOU! Once you get to the root of what your “why” is, it CHANGES everything and DRIVES you to never quit! All of a sudden solutions will start presenting themselves to your problems. The hurdles become crystal clear and you start to take action and make things happen. All because you found out what drives you....you found your why!! Discovering your WHY is the most important step to changing as it gets your mind right! It is a critical first step that I include in my programs because once you find your “why” and your mind is focused, you cannot be stopped! When your mind is active and focused on positive things, you WILL get positive results the exact same way an unsure and unfocused mind gets poor results! Well, all of this is well and good... but what can I really do to change my mindset?? I can not speak for everyone and know what will work for you because every person is different. But, I can tell you what I did and what worked for me! I will share some of my strategies to completely overhaul my mindset and banish excuses from my vocabulary. I refused to be around negative people that were pulling me down. It is a known fact that you become a part of what you are around... so you MUST surround yourself with positive and encouraging people! This is another reason why the support and accountability group that I mentioned in the video on Day #1 was such a game changer for me! I made sure to start my day EVERY day with something positive. This is going to be different for every person. For me, it was a Christian devotional book, Jesus Calling. It had been a while since I had done regular devotions, and I knew that it was time to get back into it. This was non-negotiable for me. Maybe you want to subscribe to daily email by a great positive mindset speaker that you love (ex - Tony Robbins), or listen to a pod cast while you get ready for work in the morning. You need to figure out a plan that will work for you. I searched Pinterest for fitness motivation quotes and I printed them off and hung them up in my bathroom, on the refrigerator, and at my desk at work. I also changed the screen saver on all of my electronic devices (phone, iPad, laptop, work computer, etc) to a powerful fitness motivation quote, so that I would constantly see it and be reminded of my goals. I dove into a personal development book. I have a pretty fair commute each day, so I used on audio and listened while I was driving each day on my phone. Some books that I recommend: Push by Chalene Johnson, SuperLife by Darin Olien, and Unlimited by Jillian Michaels. I created a Vision Board for my health and fitness goals and I hung it in my closet. The closet had become such a place of disappointment and regret as I would try on outfit after outfit often ending with watery eyes, so I was attempting to bring something positive to this very negative place in an effort to remind myself what I was trying to leave behind! Let's talk about Metabolism... the REAL facts! Myth #1: Skinny people have a higher metabolism. Some thinner folks appear to eat whatever they want with seemingly no consequence. Surely, they have a faster metabolism than the average Joe, right? Not so fast. Metabolism actually has quite a bit to do with body size, but not in the way many think. Skinny individuals have slower resting metabolisms; there is literally less of them to burn while at rest. Conversely, larger individuals usually have a higher metabolism and they burn more calories at rest. But don’t rejoice just yet! It’s not just any additional weight that boosts metabolism. It's muscle weight! Comparing two individuals of similar weight, the person with the larger amount of muscle will generally have the faster metabolism. This is why it is so ciritical to include some resistance training into your regimen. To boost your metabolism, you need to build muscle! Research has found the extra muscle can help accelerate weight loss much faster than a diet-only plan. Truth: While body size does factor in, body composition (ie - muscle mass) has a far greater effect on metabolism. Myth #2: Skipping a meal slows down your metabolism. Anyone looking to drop a few pounds better be grazing on frequent meals and snacks throughout the day, right? Turns out the old notion of eating a meal every three to four hours to ramp up one’s metabolism isn't exactly perfect advice. In fact, how frequently someone eats has little to do with the speed of their metabolism. Certain individuals (those prone to cravings or with special dietary needs) may benefit from consuming multiple meals through the day. However, for the rest of us, the most important factors to consider are the QUANTITY and QUALITY of the food we consume. Whether you eat 2,000 calories of rice in one sitting or spread it out throughout the day, it still has a similar effect. Instead, it is best to focus on eating quality food in a timeframe that fits your individual schedule. Truth: Quality and quantity of foods have greater bearing on metabolism than how often you eat. So.... the RIGHT FOODS in the RIGHT PORTION!!! Myth #3: I need to eat LESS and exercise MORE to lose weight. This is absolutely FALSE! When you starve your body and do not feed it enough calories on a regular basis, then your body will try to preserve itself and go into "starvation mode" meaning that it will hang onto every single fat cell that it has because it fears that you may not feed it again anytime soon. This cycle wreaks havoc on your metabolism and will eventually down regulate your metabolism and cause it to become sluggish. It is a proven fact: YOU HAVE TO EAT FOOD TO LOSE WEIGHT! But again, it is all about eating the RIGHT FOODS in the RIGHT PORTIONS! Additionally, if you are not feeding your body adequately and then you exercise when your body is not fueled properly.... You will actually begin to break down your muscle to fuel the exercise! You would like to think that you would break down your fat cells to fuel your exercise, but this is unfortunately not the case. Research has shown that when your body is in an unfed state in starvation mode, it will turn to your muscle stores to fuel itself not your fat stores! This is the last thing that you want.... you do not want to lose any muscle that you already have because we already learned that muscle mass revs your metabolism. Myth #4: You have no control over your metabolism. Gulp down some water. Ditch the sugary soft drinks. Researchers have found that consuming water may have a positive impact on how many calories you burn throughout the day. This is due to a process called thermogenesis wherein the body must burn calories to warm the water up to body temperature. Hydrating with water also saves calories over alternative beverages and plays a key role in helping to regulate whole-body metabolism (especially during exercise). Don’t forget caffeine. Coffee lovers rejoice! It turns out that cup of java may give you more than just an energy boost midday. When researchers gave subjects coffee and then measured their caloric burn, they found that the caffeinated individuals burned more calories than their decaf-ordering counterparts. Get enough protein. Dietary decisions (especially protein intake) have a profound impact on metabolism. Researchers examining the effect of dietary compositions on caloric burn have found that those taking in adequate levels of protein have a higher energy expenditure at rest. Again.... the RIGHT FOODS in the RIGHT PORTIONS! Truth: Simple dietary modifications and exercise habits can make a big difference in how fast someone burns calories at rest. You can change your metabolism! Are you beginning to notice a pattern here? 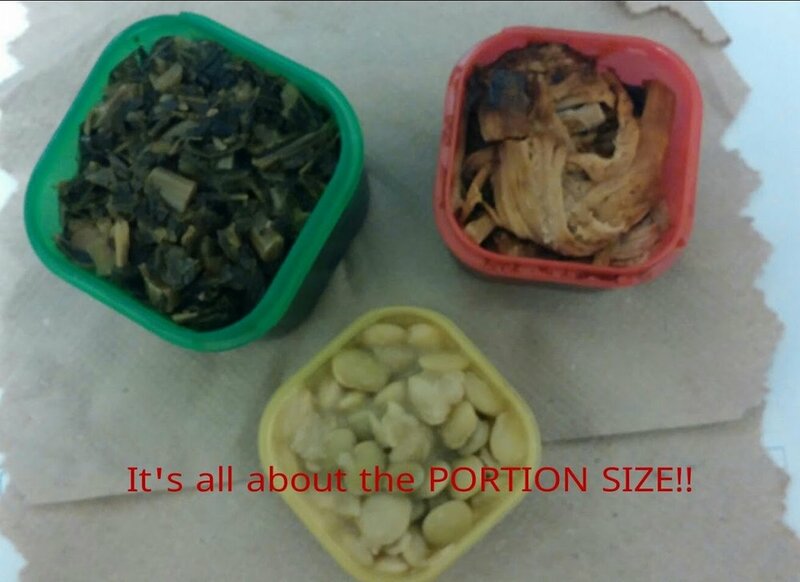 It's all about the RIGHT FOODS in the RIGHT PORTIONS! Let's talk about the foods we eat each day and how these foods effect our metabolism and overall health. I already gave you some critical concepts that everyone needs to know about metabolism and dispelled some popular exercise myths to teach you the critical pieces needed to turn that sluggish metabolism into a highly active FAT BURNING machine! 17 Foods that you Should Avoid at ALL COST!! Added sugar is the single worst ingredient in the modern diet. However, some sources of sugar are worse than others, and sugary drinks are the absolute worst. When people drink sugar calories, the brain doesn’t “register” them as food. For this reason, people don’t automatically compensate by eating less of other foods and they end up drastically increasing their total calorie intake. Sugar, when consumed in large amounts, can drive insulin resistance in the body and is strongly linked to non-alcoholic fatty liver disease. It is also associated with various serious diseases, including type 2 diabetes and heart disease. Sugary drinks are also THE most fattening aspect of the modern diet, and drinking them in large amounts can drive fat gain and obesity. Alternatives: Drink water, soda water, coffee or tea instead. Adding a slice of lemon, fruit, or spice to water or soda water can add some taste if you don’t like it plain. Check out this article from my blog for some great water recipes! Pizza is one of the world’s most popular junk foods. This is not surprising, given that it tastes awesome and is incredibly convenient to eat! The problem is that most commercially prepared pizzas are made with seriously unhealthy ingredients. The dough is made from highly refined wheat flour, and the meats on them are usually processed. Pizza is also extremely high in calories! Just leave it alone! Alternatives: Some pizza places use healthier ingredients. Homemade pizzas can also be very healthy, as long as you choose wholesome ingredients. Check out this recipe for cauliflower crust pizza! Bread is generally made from wheat, which contains the protein gluten. For this reason, all wheat-based breads are a bad idea for people who have celiac disease or gluten sensitivity. However, most commercial breads are unhealthy, even for people who do tolerate gluten. This is because the great majority of them are made from refined wheat, which is low in essential nutrients (empty calories) and leads to rapid spikes in blood sugar. Alternatives: For people who can tolerate gluten, ezekiel bread is an excellent choice. Whole grain bread is also definitely better (or “less bad”) than white bread. My personal favorite substitute is a whole wheat or corn tortilla! Fruit juice is often assumed to be healthy, but this is a BIG mistake! Many fruit juices are actually little more than fruit-flavored sugar water. It is true that the juice contains some antioxidants and vitamin C, but this must be weighed against the large amount of liquid sugar. In fact, fruit juice contains just as much sugar as a sugary drink like Coke or Pepsi, and sometimes even more! Who knew? Alternatives: There are some fruit juices that have been shown to have health benefits despite the sugar content, such as pomegrenate juice and blueberry juice. However, these should be considered as supplements, not something you drink every day to quench thirst. Drink water instead! In the last 100 years or so, people have increased their consumption of added fats. However, this is entirely explained by a drastic increase in the consumption of refined vegetable oils, such as soybean oil, corn oil, cottonseed oil and canola oil. These oils are very high in omega-6 fatty acids, which humans never consumed in such large amounts before. Our bodies do not know how to metabolize these trans fats, so we store them inside fat cells. There are many serious concerns with these oils. They are highly sensitive to oxidation and cause increased oxidative stress in the body. They have also been linked to increased risk of cancer. Alternatives: Use healthier fats like coconut oil, real butter, extra virgin olive oil or avocado oil instead. Margarine used to be considered a healthy alternative to butter. Fortunately, most people have now realized that this is far from being true. Margarine is a highly processed pseudo-food that has been engineered to look and taste like butter. It is loaded with artificial ingredients, and is usually made with industrial vegetable oils that have been hydrogenated to make them more solid. This increases their trans fat content significantly. Keep in mind that manufacturers are allowed to label their products with “no trans fat” as long as it contains less than 0.5 grams per serving, which is still a significant amount. Most pastries, cookies and cakes are extremely unhealthy. They are generally made with refined sugar, refined wheat flour and added fats, which are often disturbingly unhealthy fats like shortening (high in trans fats). These tasty treats are literally some of the worst things that you can put into your body. Almost no essential nutrients, but tons of calories and unhealthy ingredients. Whole, white potatoes are actually very healthy for you! However, the same can NOT be said of the products that are made from them, such as french fries and potato chips. These foods are very high in calories, and it is easy to eat excessive amounts. Several studies link consumption of french fries and potato chips with weight gain. These foods may also contain large amounts of acrylamides, carcinogenic substances that form when potatoes are fried, baked or roasted. Alternatives: Potatoes are best consumed boiled, not fried. If you need something crunchy to replace potato chips, try baby carrots or nuts. Agave nectar is a sweetener that is often marketed as healthy. However, agave nectar is not as healthy as some people think. It is a highly refined sweetener that is extremely high in fructose. High amounts of fructose from added sweeteners (not whole fruit) can be absolutely disastrous for health. The truth is, agave is even higher in fructose than other sugars. Whereas table sugar contains 50% fructose, and high fructose corn syrup around 55%, agave nectar is 85% fructose. Alternatives: Stevia is a healthy, natural and calorie free sweetener. Honey is also a good choice. Yogurt can be incredibly healthy. Unfortunately, most yogurts found in the grocery store are extremely bad for you. They are frequently low in fat, but loaded with sugar to make up for the lack of taste that the fats provided. Put simply, the yogurt has had the healthy, natural dairy fats removed, only to be replaced with something much, much worse. Additionally, many yogurts don’t actually contain probiotic bacteria, as generally believed. They have often been pasteurized after fermentation, which kills all the bacteria. Alternatives: Choose regular, full-fat yogurt that contains live or active cultures (probiotics). If you can get your hands on it, choose yogurt from grass-fed cows. Greek yogurt is a great choice too because you get more bang for your "calorie" due to the higher protein content in Greek yogurt. Low-carb diets are very popular these days, and have been for several decades. There are plenty of real foods that you can eat on a low-carb diet, most of which are very healthy. However, this is not true of processed low-carb replacement products, such as low-carb candy bars and meal replacements. These are generally highly processed foods that contain very little actual nutrition, just a bunch of artificial ingredients mixed together and then sold as food. Alternatives: If you’re on a low-carb diet, eat foods that are naturally low in carbs. Remember, Low-carb junk food is still junk food. Even though unprocessed meat can be healthy and nutritious, the same is NOT true for processed meats. Studies show that people who eat processed meats have a higher risk of many serious diseases, including colon cancer, type 2 diabetes and heart disease. Most of these studies are observational in nature, so they can not prove that the processed meat caused the diseases. However, the statistical link is strong and consistent among studies, so I do believe there is something to it. Alternatives: If you want to eat bacon, sausages, pepperoni and other “processed” meats, then choose wisely and try to buy them locally from sellers who don’t add a lot of unhealthy ingredients. Quality counts. Regular cheese is healthy. It is loaded with nutrients, and a single slice of cheese contains all the same nutrients as an entire glass of milk. However, processed cheese products are nothing like regular cheese. They are mostly made with filler ingredients that are combined and engineered to have a similar look and texture as cheese. Cheese is healthy, but processed cheese is not. Read labels, and make sure that the cheese you’re eating is actually cheese. Alternatives: Eat real cheese instead! Generally speaking, “fast food” chains serve only junk foods. The majority of the food they offer is mass-produced, highly engineered junk food with very little nutritional value. These places are often very cheap, but keep in mind that junk food costs you twice. For every penny you save there, chances are that it’s going to cost you many times more in the future. Poor health is expensive. Alternatives: Fortunately, all sorts of healthy fast food places have started to appear. Chipotle is one great example. Additionally, even McDonald's now has a healthy salad option. Be smart when you order! Coffee has been unfairly demonized. It is actually very healthy, and loaded with antioxidants. Studies also show that coffee drinkers have a lower risk of serious diseases, like type 2 diabetes and Parkinson’s. Unfortunately, stuff is sometimes added to coffee that turns this wonderful beverage into harmful sludge. If your “coffee” has a ton of artificial creamer and sugar, then it is NOT good for you. It is loaded with liquid, empty calories, and will be just as unhealthy as any other sugar-sweetened beverage. Alternatives: Drink plain coffee instead. Black is best, but small amounts of heavy cream or full-fat milk are fine as well. Best option is to sweeten with Stevia and use unsweetened almond or coconut milk as a substitute for creamer. Due to the very low calorie count, unsweetened almond milk is actually considered a freebie on the 21 Day Fix meal plan! Added sugar (and high fructose corn syrup). Refined grains like white flour. These are some of the unhealthiest (and most common) ingredients in the modern diet. The importance of reading labels can not be overstated, and this applies to all foods, even so-called health foods. This is going to apply to most common condiments and sauces like ketchup, barbeque sauce, spaghetti sauce, etc. Alternatives: Eat whole, one-ingredient, clean foods. Pay attention to the label and it is much easier these days to find a healthy option in the grocery aisle for many of these condiments. By far the simplest way to eat healthy and lose weight, is to avoid processed foods as much as possible. Put simply, if it looks like it was made in a factory, then it’s probably bad for you. We will learn more about this when we talk about the principles of clean eating tomorrow. A good rule to remember, is that real food doesn’t need an ingredients list, because real food IS the ingredient. So.........What foods should I be eating? So.........What foods should I be eating every day? Great Question!! This is where your containers come in! I have listed just a few ideas for each food list to give you an idea. There are many, many, many more approved foods! This will just give you an idea of what food groups you need to be incorporating into your diet EVERY day and the containers give you the right PORTION! Autumn Calabrese is a celebrity trainer and Beachbody Trainer for the 21 Day Fix, 21 Day Fix Extreme and Co-Trainer of The Masters Hammer and Chisel with Sagi Kalev. In addition to being aÂ busy mom, Autumn is also a national-level bikini competitor. SheÂ is now well known in the fitness world for helping people to lose weight and get fit by teaching them all about portion control and how to stay consistent on their journey. Autumn has her personal training certification from the National Academy of Sports Medicine (NASM) and the American Fitness Professionals & Associates (AFPA). One of the many great things about Autumn is that she empowers those she works with to go after their goals in a way that is healthy and long lasting. Because she is a busy working Mom, she can completely relate to how import having a short workout routine and easy to follow nutrition plan is to success. Autumn works with many celebrities and is the official fitness specialist for ModernMom.com. Many of her workouts have been featured in magazines and on television and she currently has a new cooking show called Fixate that is available on BeachBody On Demand for live streaming anytime or anywhere. This is a fantastic new benefit and really helps us Fixers keep mixing it up with new and exciting recipes all the time! Beachbody On Demand (BOD) is part of the Team Beachbody Club membership and is FREE for 30 days with the purchase of the 21 Day Fix Challenge Pack! (You also have the ability to stream hundreds of workouts through BOD, FYI). Watch the promotional video for 21 Day Fix to get a quick glimpse into the program! FYI, This program is truly meant for any fitness level. There is a modifier if you are a beginner and Autumn shows you ways to really amp it up and push yourself if you are at a more advanced fitness level.. If you are at a more advanced fitness level, the 21 Day Fix Extreme program may be what you are interested in! And Autumn's New Program, Country Heat!! If you are new to fitness or you just really LOVE country music, then Country Heat might just be perfect for you! This is Autumn's newest addition to the 21 Day Fix family! You still get the whole 21 Day Fix nutrition plan, she has just changed up the fitness part to make it fun! So, for those people who hate to exercise and would rather dance it out... Country Heat is a great fit! This program is also great for anyone who at the beginner fitness level. I want to thank you for taking the time to read through all of this information and especially for taking the time to learn more and watch the videos. I know how busy that we all are and I really appreciate your time! I hope that you enjoyed the first two days and Remember - This is only the beginning!! Tomorrow we will discuss current trends in in today's culture with regard to agricultural practices, the average American diet, and childhood obesity and how these trends are affecting the health of our nation. We will learn about clean eating and an affordable solution to help you meet your goals. See you tomorrow! !